Navicore Solutions is a nonprofit organization that has been dedicated to helping people for over 26 years. Minimal fees: Navicore Solutions is a non-profit organization. The services customers will receive are made possible through donations and minimal fees to those customers who can afford it. This makes Navicore’s services available to essentially anyone who is need of debt relief or debt counseling. 50-state availability: Navicore Solutions provides its financial services to all 50 states. No restrictions: Navicore Solutions does not have set parameters for the type of customer they serve. There is no minimum debt amount, no credit score limitations, and no type of debt or any other situational requirements for their counseling services. Many accreditations: Navicore Solutions is accredited by several major associations in the industry. 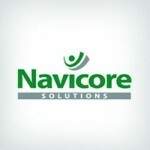 Experience: Navicore Solutions has been in business since 1991, which is a very long tenure in the industry. Acts as third- party: Navicore Solutions acts as the third-party when consolidating a customer’s debt or other financial tasks. Their customers have to work with other companies as well for complete debt solutions. No specialization: Navicore Solutions’ wide range of services does not lend itself to very specialized services for intricate cases. They are not a credit card debt settlement company and only offer consumer credit counseling. Lack of transparency: Navicore is not transparent regarding its pricing and fees. Our recommendation: Due to their lack of transparency and their lack of specialization, we are unable to rate Navicore Solutions very high. At this time, we recommend another company for debt consolidation and counseling services such as Consolidated Credit. Customers can enjoy a free consultation and counseling session from Navicore Solutions, they can get a personalized plan to fix financial problems with no cost. Navicore Solutions has been in business since 1991. Navicore Solutions offers limited educational resources to help customers. Navicore Solutions does not charge a cancellation fee, nor is a money-back guarantee necessary. Navicore Solutions helps customers pay off unsecured debt. Navicore does feature a mobile-friendly site. Business hours information is not available on the Navicore Solutions website at this time. Navicore Solutions provides debt consolidation. Navicore does not have publish whether there is a minimum debt accepted at this time. Navicore Solutions does offer customers a dashboard to utilize. Navicore Solutions is not CPFC certified at this time. Navicore Solutions is not ISO certified at this time. This company is a FRAUD or SCAM. They charged me for $60 enrollment fee for their Debt Management Program (D.M.P.) and would like to request for a REFUND. It is difficult to contact their Credit Counselor or Customer Service and the voicemail are even full you can’t leave a message. Before i enrolled the program and paid it they always called or contacted me but now that i want a REFUND or CANCELLATION/TERMINATION for my subscription/enrollment they’re hard to reach or contact. Loan consolidators run the gambit, from outright scams to well-run companies that coordinate with banks. Had huge expenses from medical bills and other sudden costs. I made the initial mistake of trying a consolidator the promised everything and it was a disaster. They maximized their profits by playing hardball with lenders. My credit score plunged, the banks and credit card companies went nuts. I saw nothing but a sea of red. I was afraid to open my mail and go online. I tried Navicore. They were empathetic, quick and created a payment plan I could afford. I still have three years to go, but Navicore really helped when I needed it. Their reps did more good than they know. I was with Genisis for 3yrs.. had little problems that was handle immediately, with a solutions… When Navicore took over my account from Genisis I had nothing but problems…First Payments were not distributed on time… Navicore Representatives had no clue on what to say or what to do… Called numerous of times and then a “SUPERVISOR,” told me it was Genisis error and then it was the USPS error! WHAT! Instead of taking care of the problem and addressing the issue, they were pointing fingers at someone else! I gave Navicore around 3 or 4 times to redeem themselves at Customer Service level… Over a month went by and no solutions just problems or I don’t know answer… Now when I call the Representatives tells me to please hold and next person I’m talking to, is a Supervisor… That’s Not A Solution, It’s A Problem! I would Never, recommend Navicore to anyone! I have never been able to call customer service without being on hold for 60+ minutes. They don’t return calls even requested. 5 years is almost done I paid off thousands in debt .with help of Novicore .The best counseling ever.They help me along every step,Wonderful place and people.I have one payments left. Thank God for help. 18 people found this review helpful! NAVICORE solutions has worked beautifully for me. The credit counselors are very helpful and nice. I have referred many people to Navicore! !